Top Rated Top Reviewed Dealership In Beaverton, Or. Low Miles! 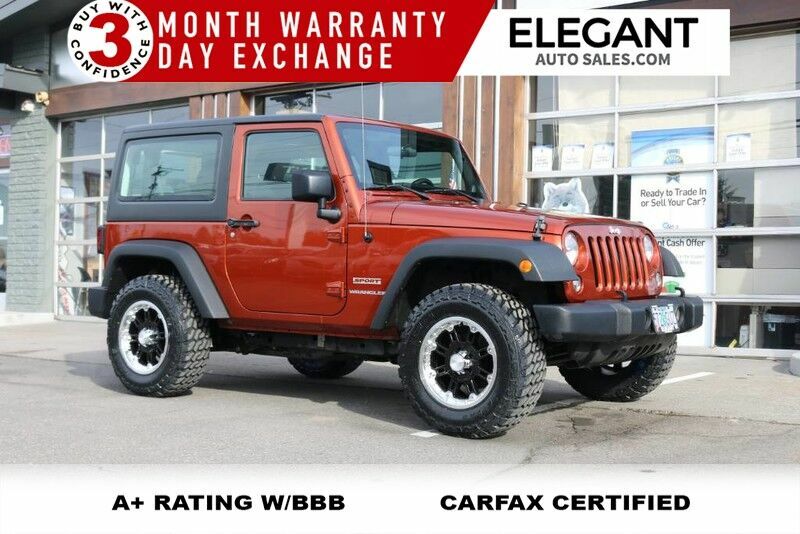 2014 Jeep Wrangler Sport 4x4 - 6-Speed Manual, AC, Cruise Control, AM/FM/CD Stereo, Fog Lights, New 17' Rhino Wheels, Brand New Tires, Hardtop, Tow Package. 1 Owner, Locally Owned, Clean Carfax - No Accidents.....Buy With Confidence - 3 Month Powertrain Warranty & 3 Day Exchange.